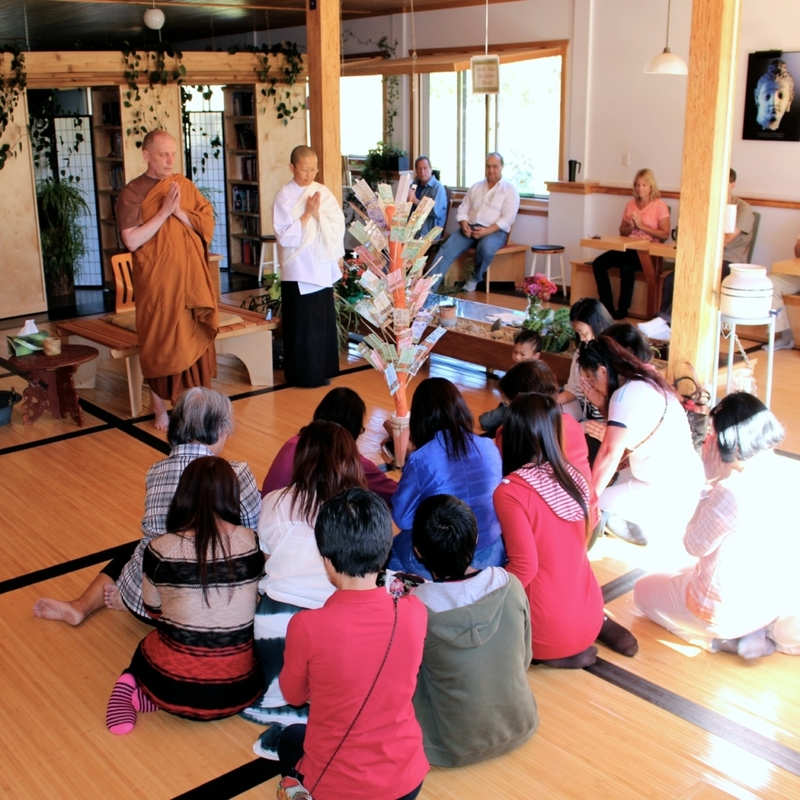 Pah Bahs are Buddhist fund-raising events initiated by members of the lay community to offer support to a monastery. The Thai community of Birken supporters helped to organize this event. Traditionally it’s the time of year when requisites (i.e. robes, food, housing, and medicines) are offered to the monastic community. Everyone is welcome to attend this free event. Donations are appreciated, but not required. Thanks to the generous donations of our supporters, we are in the process now of building the Abbot’s new kuti (meditation hut). Donations received from this year’s Pah Bah will aid in landscaping the area around that kuti. Any funds leftover from the project will be used to beautify the monastery common grounds. You may bring your donations to the event, contribute by mail or online through Interac, PayPal, or Canada Helps. Please reference “Pah Bah” on your donation so we may apply your gift to this project. Click here for more information about how to give. Please arrive no later than 11:00 am. If you’re bringing a potluck dish, please take your food to the Birken kitchen, ready to serve, in your own serving bowl/plate, with your own serving utensil. The meal will be offered to the monastics at about 11:30 am. Please email us by September 10 if you intend to come to the Pah Bah. Let us know how many of you will be coming and if you plan to bring a potluck dish that day as well. We look forward to welcoming you to Birken.